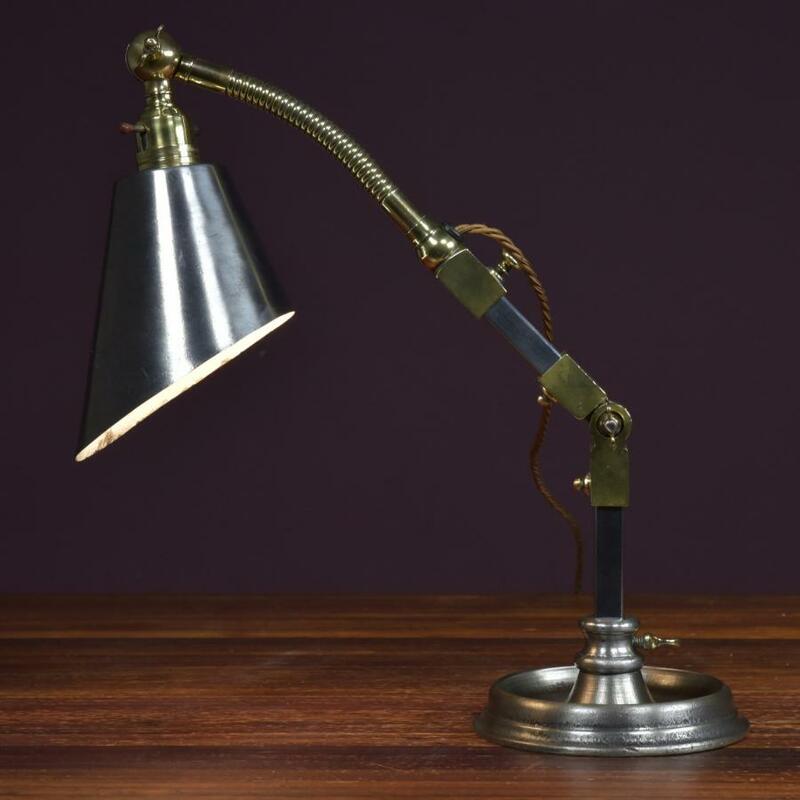 A super quality antique Industrial desk work lamp with original steel shade and stems, cast brass fittings and a circular moulded cast iron base. 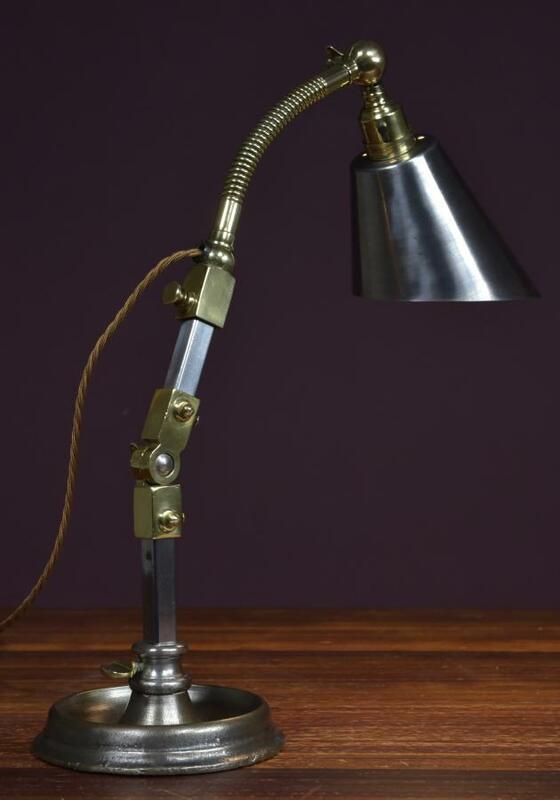 The angle of the stem and shade can be altered with the brass knuckle and ball joints.English approx 1920s. 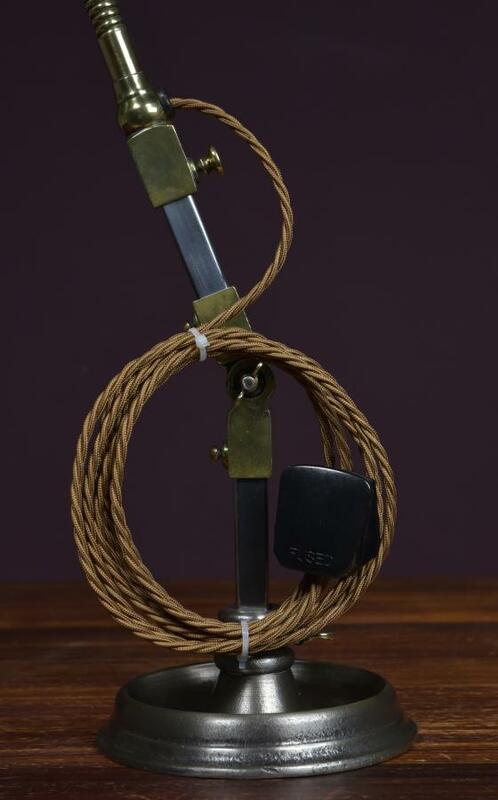 The lamp has been dismantled,cleaned, polished,waxed and rewired using the original switched lampholder (earthed)with 3 meters of Havana Gold fabric flex and a traditional hard plastic plug. All original parts with no missing pieces. 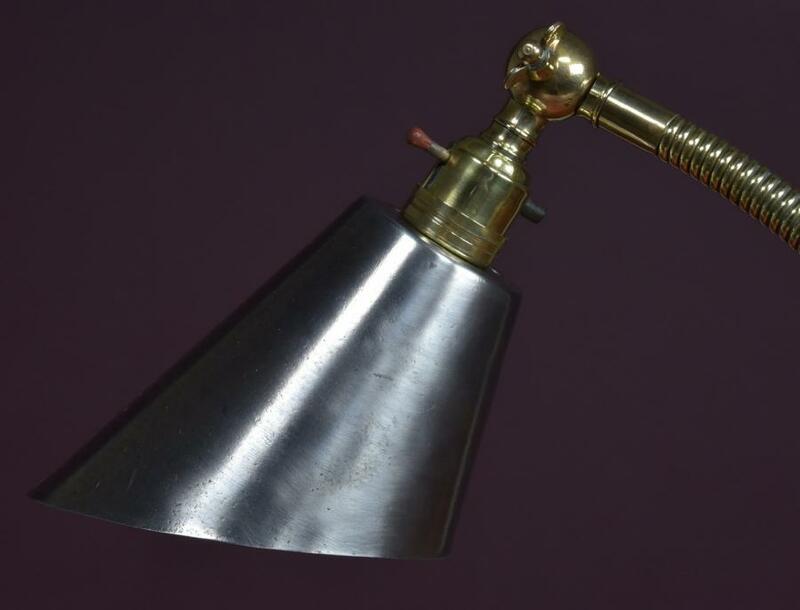 Dimensions in inches/cms; Max height 27"/69cms (vertical)(Standard height with stem bennt and shade pointing down approx 19"/48cms) Base is 6"/15cms in diameter. For more or higher res images please see my blog which can be accessed through the news section of this (haes) website.